Low volatile grade, platinum-cured silicone tubing is clean room produced for critical pharmaceutical, biopharm, cosmetic, and food applications. AdvantaSil® APST platinum cured tubing has undergone extensive physical, chemical, and biological testing, and meets USP Class VI, FDA CFR 177.2600, ISO 10993, NSF 51 and European Pharmacopoeia 3.1.9 standards. 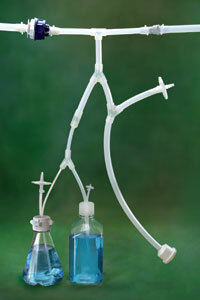 Full BPOG standardized extractables test protocol has been performed by a fully-accredited, third-party test lab. AdvantaSil APST Unreinforced Platinum Cured Silicone Tubing is not intended for implantation, continuous steam applications, or elevated pressure levels. Number Notes I.D. Wall O.D. Sold by standard coil length only. Add length suffix code to product number when ordering—see the Coil Length Legend at right for length suffix codes. Example: 25 ft. of .030 in. I.D. x .160 in. O.D. tubing is product number APST-0030-0160P. Non-listed sizes and custom lengths are available by special order. Coils and spools are supplied double bagged in heat-sealed polybags and bulk packed. Contact your AdvantaPure Sales Representative for other packaging options. *Limited stock availability; lead times and minimums may applycall for details. †Available in longer legths on spoolscall for details. 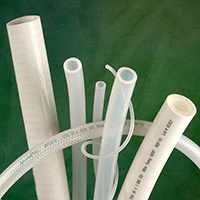 Single-use Systems are custom made using AdvantaSil® platinum-cured, Class VI silicone tubing and hose or AdvantaFlex® Class VI biopharmaceutical grade tubing. Add fittings, stoppers and container closures, filters, bottles, labels and tracking options, and other components. A number of AdvantaPure's silicone and AdvantaFlex products, particularly those designed for single use, are available with validated sterility assurance of 10-6 log reduction per ISO 11137 method VDmax. Contact us for more information at 1-888-755-4370.